IT is known as the most elusive Lotus ever — the first model built by Lotus founder Colin Chapman, which eventually came to be called the Lotus Mark I. It has not been seen since 1950, and so now, the company is calling on collectors and enthusiasts — even pickers — across the world for help in tracking down this very special car. As Lotus celebrates the 70th year since the Mark I was built, Colin’s son himself, Clive Chapman, is joining the hunt for the car: “The Mark I is the holy grail of Lotus’s history. It’s the first time that my father was able to put his theories for improved performance into practice when designing and building a car. To locate this landmark Lotus, as we celebrate the 70th anniversary, would be a monumental achievement. We want fans to take this opportunity to look in every garage, shed, barn and lock-up they’re allowed to. It’s even possible that the Mark I was shipped from the UK, and we’d love to know if it survives in another country,” says Clive, who is now director of Classic Team Lotus. Colin hand-built the Mark I in 1948, four years before he co-founded Lotus Engineering Ltd. (with Colin Dare). Colin Chapman worked on the competition car in a small garage in London, which was owned by the parents of his then-girlfriend (and, eventually, wife) Hazel. 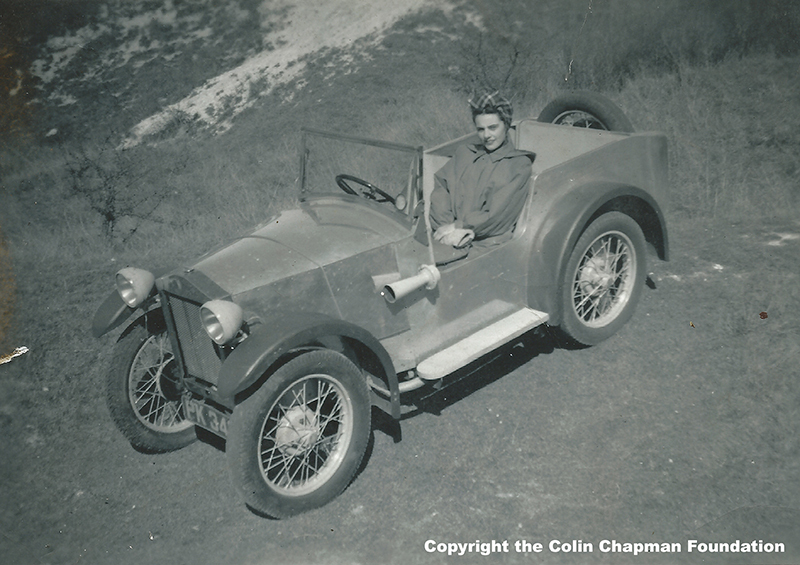 The car started life as an Austin Seven, which Colin, then a young engineer, modified to create the first Lotus. Reworking every aspect of the car, Colin revised the suspension configuration and layout, beefed up the chassis, clad the body in lightweight bespoke panels, and ensured components frequently damaged in competition could be quickly reattached. He also extended the rear of the car, and mounted a pair of spare wheels there. This, however, was not meant for flat tires. Rather, the extra weight at the back was intended to improve the car’s traction. Clearly, Colin was already developing the principles that would go on to eventually define Lotus cars. 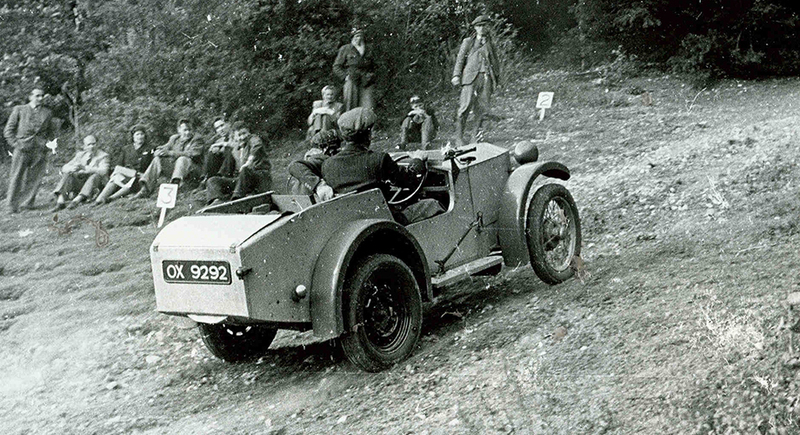 Colin entered the car in numerous trials competitions in 1948, immediately taking class wins in the first two. But, Colin being Colin, had also started to work on the Mark II. The four-seat Austin Seven-turned-Lotus Mark I, for its part, was advertised in Motor Sport magazine, and by November 1950 it was sold for £135 to a buyer based in the north of England. From there, the car seemed to simply disappear despite its well-documented existence. And it’s not that no one has been searching for the Mark I — over the years enthusiasts have been pursuing whatever leads they had. Even Lotus had asked the help of experts in locating the car. Sadly, all efforts so far have been for naught. Hopefully, with this renewed global call for help, it would finally turn up.